Are you dealing with insomnia, anxiety, depression, lack of focus and productivity or incredibly throbbing body pain? Are you tired of buying drugs that have no significant impact on your problem? You are in the right place; today we will introduce you to one of those solutions that people would define life-changer. Don’t laugh at the name; this is serious. Your solution is called Red Elephant Kratom. Red elephant kratom is a particular strain of the kratom tree family. This tree, known as Mitragyna Speciosa grows indigenous in Southeast Asia where the leaves had used for centuries for their medical properties in the cure of pain, depression symptoms and the promotion overall wellbeing. This leafy tree is not an opioid but rather it is closely related to the coffee plant. The red elephant strain derives its name from the size of the leaves of the Kratom tree which can grow to be as large as the ears of an elephant. It is used in particular to combat pain and anxiety. All kratom strains will give you the following benefits, however, depending on the specific type of strain, you will experience these benefits on different degrees of intensity. The analgesic property depends on the concentration of particular substance – alkaloids – called mitragynine and 7-hydroxymitragynine that bind to our body receptors responsible for pain by inhibiting their activation and by stimulating the release of endorphins which contribute to reducing our pain sensitivity. This herb relieves from opiates withdrawal symptoms as they both target the same receptors. Kratom, however, is not as addicting as regular opiates, let’s not forget that this herb is related to the family of coffee tree. 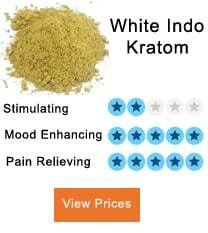 These effects are found exclusively from kratom derived from the leaf and not the stem. The reuptake of serotonin caused by the action of the alkaloids decreases irritability and increases sociability and energy. A better attitude towards life comes with the increased energy levels that will make you more active and a desire to socialize. The serotonin flowing in your bloodstream makes you feel happier. Use this herb to treat insomnia and your jitters. It’s perfect for falling asleep or keep an alert, but relaxed mind during active meditations as your thoughts will be more organized in your mind. You will experience a boost in the level of endorphins present in your body due to the alkaloids binding with the opioid receptors in your body. Wait a few minutes, and you will feel extra euphoric and happy. This herbal medicine will kick-start your day. By enhancing your cognitive function and alertness, you will be able to intensely focus on and easily complete tasks without distracting yourself. The red strain is known mainly for its sedative and relaxing effects. After an initial energy boost, it will stimulate feelings of contentment and relaxation, perfect for meditation practices and tasks that require intense concentration. 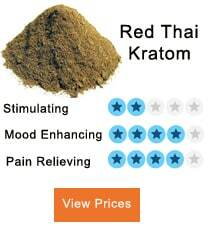 Specifically, the red elephant kratom works wonders when it comes to combining its soothing and painkilling effects. The dosage depends on the desired effects, the body weight of the person and level of tolerance especially in the case where you have used opiates as painkillers in the past. As you begin taking red elephant kratom, you might need to give it a try by starting with a low dosage to avoid incurring in the side effects such as constipation, drowsiness, nausea, abdominal cramps, headache, and fatigue. Anything around 2g is considered a low dosage, while 13-15g is considered a high dosage for people with high tolerance. However, a rule of thumb, especially when it comes to red elephant kratom, is that the sedative, relaxing effects kick in at a higher dosage. At high dosage, you will benefit both from the relaxing and the analgesic effects. Instead, if you are aiming to get an extra energy boost, a lower dosage will do the job as it will work as a stimulant by triggering euphoria and focus. Moreover, if you are looking for a more immediate result, you should opt for the powder rather than the capsules. 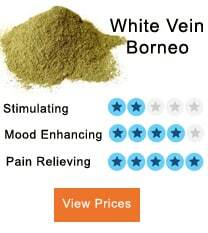 This company imports its Kratom products from Indonesia. The products are 100% derived from the leaves, and the powder undergoes a sifting treatment to guarantee a pure powder. 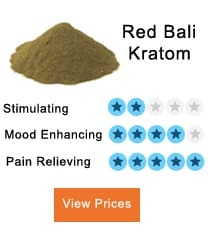 You can find Red Elephant Kratom starting at $26. Based in Indonesia and shipping from Oklahoma, Us Kratomind does the interest of its customers and farmers. The prices are affordable, and the farmers’ welfare is protected. You can have access to different stocks of Red Elephant – 50g, 100g, 250g, 500g and 1000g – starting at $6. 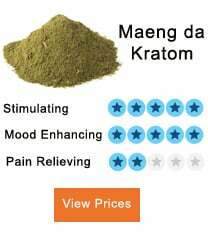 Oregon Kratom is an online retailer. Based in Oregon, the company imports the finest kratom from Southeast Asia and provides its products with a fast delivery service. The prices are competitive. You can find your Red Elephant strain starting at $9. Greg’s Botanical keeps its circle relatively small. As a family-owned business with only one farmer, Greg’s Botanical still managed to be one of the most trusted Kratom company in circulation. 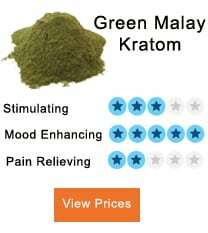 Red Elephant Kratom rates starting at $19 for 125g. Users who bought the Red Elephant strain are more than satisfied with their purchase. People appreciated its painkilling effects, and the feeling of relaxation that kicks is after few minutes of usage. Positive effects on anxiety were also mentioned by a few customers who were delighted with the immediate results. While others enjoy incorporating this medicinal herb into their bedtime routine as they reported falling asleep with much more ease and they benefited from a deeper sleep. Are you dealing with any of the issues cited above? Then you should probably give Red Elephant Kratom a try. You won’t be disappointed. Visit the websites linked above now and start seeing real changes in your life. Months from now you will thank yourself for choosing kratom! Tons of customers are already enjoying the benefits of it.